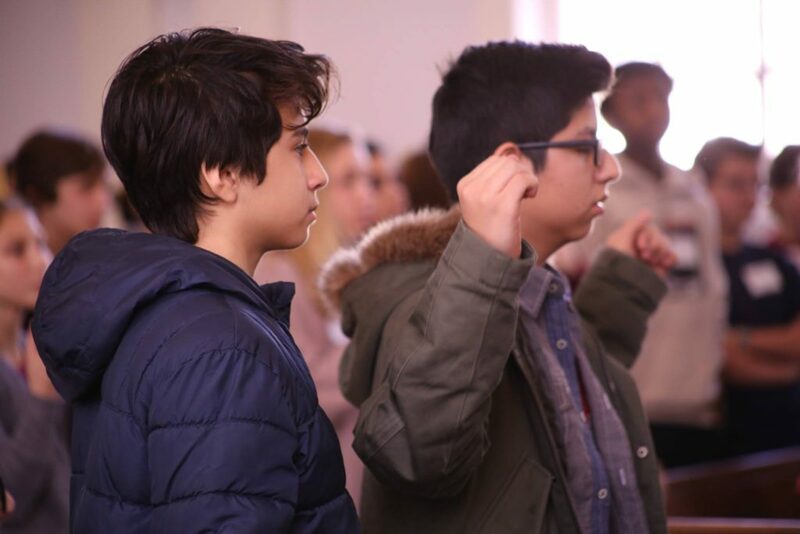 On March 23, 2019, over 300 confirmands from across GNJ gathered to learn what it means to be the next generation of Godly disciples and ask Bishop Schol questions about faith and the denomination. The day began with a workshop led by Charles Perez discussing the importance of connectionalism and being rooted in God’s love. While confirmands participated in the workshop, youth leaders met with Eric Drew, the Executive Director of Next Generation Ministries, to discuss youth ministry leadership and ways to be connected with Next Gen. Following the workshops, everyone came together to listen to a special message along with a Q&A with Bishop Schol. In his message to the confirmands, Bishop Schol encouraged them to explore their curiosity within Godly limits. Afterward, Bishop Schol entertained inquiries from the confirmands. “From profound faith questions, to the current state of the United Methodist denomination, to fun questions about Bishop Schol’s pizza preference and his most embarrassing moments, the Q&A period was nothing short of inspirational, humorous and spiritually engaging,” said Carla Vanzant, Engagement Specialist for Next Generation Ministries. The day culminated with worship and communion.